Let me see if I can provide an answer that will help us all understand why it so important to learn how to continue to think outside the box. I’ll begin by asking a very simple question. How long did the Roman Empire last and what really caused that great civilization to collapse? America is a relatively young civilization by comparison (230 years) and it is well established by anthropologists that one reason civilizations fall is that they do not take steps far enough in advance to prevent a crisis. That is one of the main differences between medicine and economics, as Dr.Stephen Leebs notes in his book, “The coming economic collapse and how to thrive when oil hits $200 a barrel”. “Unfortunately, citizens of most complex societies typically feel too optimistic about their civilization’s survival. They see no need for preventative medicine because they have no sense that their economy could die. Consequently, they often pay little attention to problems until they become severe enough to threaten their present lifestyle. 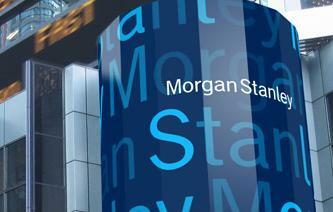 The fact that the investment bank Morgan Stanley has for first time in its 72-year history recorded a loss, and in the billions of dollars, along with ever other major financial brokerage firm on Wall Street, should not be taken lightly. There are new financial paradigms that have engaged the market place (FOREX/building of hedge funds) in a very aggressive manner and combined with the global dynamics of the internet that connect the Amazon to Wall Street at lightening speed, those who depend on conventional economic cycles to read the weather, are going to find themself standing in the rain without an umbrella. continue to do so, has made many lose millions. Warren Buffett is considered by me the most successful investor of all time. What is shocking is that Buffett’s strategy runs counter to the conventional wisdom of just about every Wall Street guru. begin to understand what is really happening. We have to begin to understand that we are in uncharted waters.